Today is all about the sourdough. 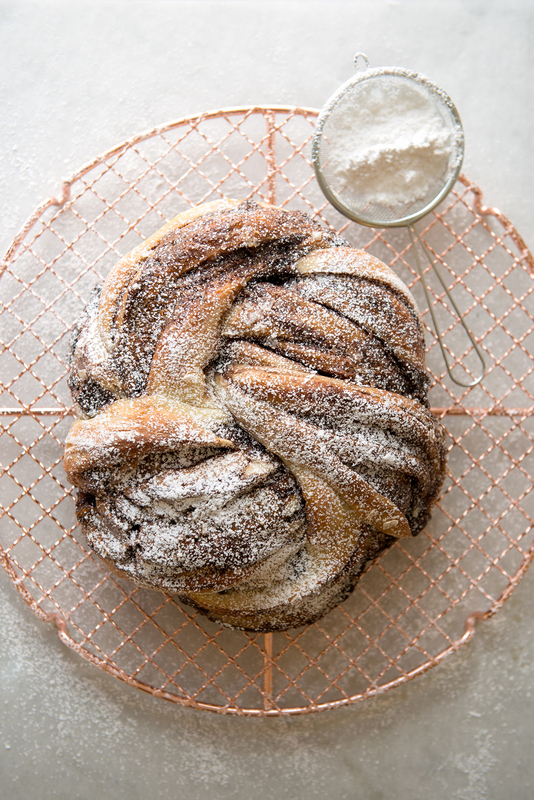 Sweet sourdough in the form of this Salted Chocolate Caramel knot from Emilie’s Raffa’s newly released cookbook Artisan Sourdough Made Simple. Emilie is the author of The Clever Cookbook and her blog, The Clever Carrot, has been a favorite blog of mine for years. She is pure sunshine and keeps me well fed with phenomenal recipes, so naturally I was happy to share one of her new cookbook recipes on Now, Forager for you to enjoy. 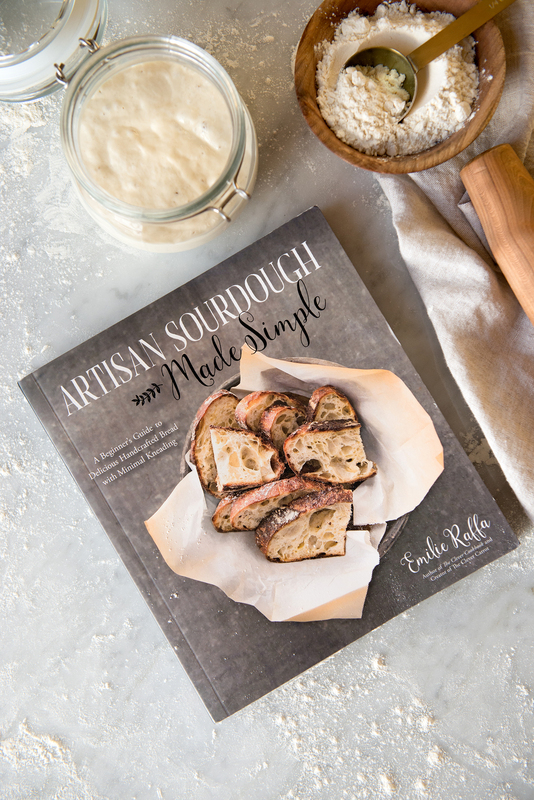 She’s created another cookbook that is all about how to make amazing sourdough bread at home. If you’re not familiar with sourdough, it’s a bread made by the fermentation of dough using naturally occurring yeast from something called a “sourdough starter.” A starter is a live fermented culture that is solely responsible for making the dough rise (a natural leavening agent) and is made with two ingredients: whole wheat flour and water. The history of sourdough goes back centuries and there are epic tales of people passing down their heirloom starters from great-grandmothers or stowing away their cultures from across the continents. There are some hard-core sourdough makers out there and they create the most gorgeous golden and crackly-crusted bread boules to swoon over. It can be intimidating, but fortunately creating your own sourdough starter is incredibly simple and easy to do. As is making your own loaf of sourdough. Emilie’s new sourdough book is a beginner’s guide, so it’s perfect for anyone creating a sourdough starter for the first time (that was me!) and it includes very clear recipes for the sourdough process from start to finish. There are also loads of step-by-step photos on shaping and scoring techniques. While initially flipping through the beautiful pages of this book, it was hard to decide what to make first. Emilie recommended the Salted Chocolate Caramel Knot and I’m happy to have taken her up on it. 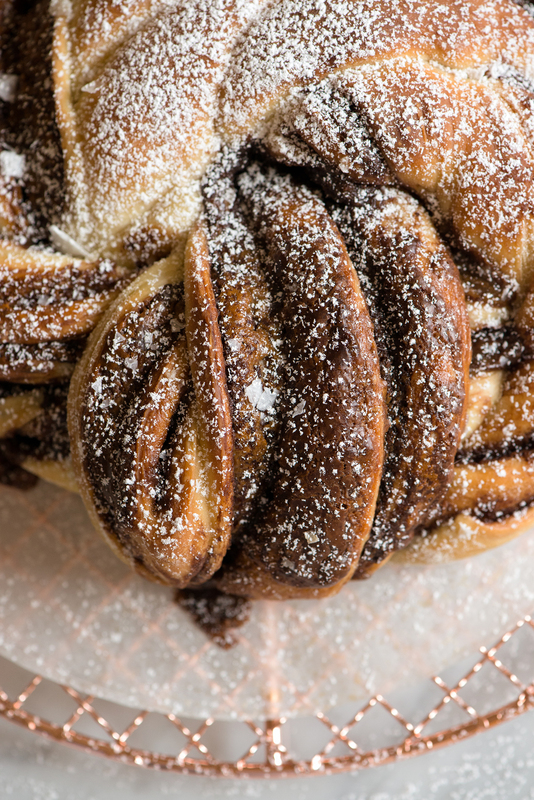 This recipe involves slathering the dough with hazelnut chocolate spread, dulce de leche, a generous sprinkle of flaky sea salt, and finishing with a flurry of powdered sugar. It filled my kitchen with the sweetest scent of chocolate and was so crazy delicious that we ripped it apart in less time than I’d care to admit. 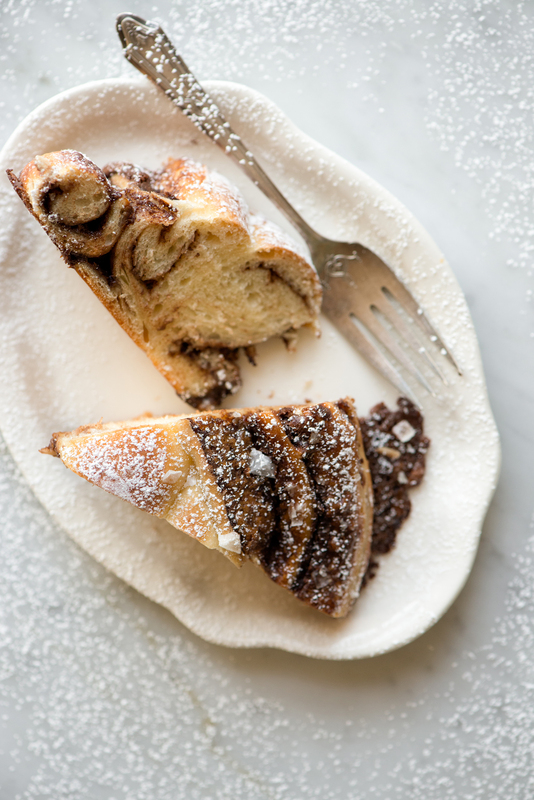 It always feels good to add another stellar recipe to the baking repertoire. Even as a big sourdough bread fan, I rarely make bread at home. Kansas City has a great sourdough bread company and out of convenience I usually pick up my loaves from them. However, there’s something special about making your own bread at home. The process is therapeutic and the aroma of freshly baked bread alone is a big motivator in itself. Emilie was generous enough to send me a dried offspring of her sourdough starter (to kick-start the process, but her cookbook goes into detail about how to make your own with just wheat flour and water) and for the first time I created my own starter. Admittedly, I was nervous about the process as it’s been a long time since bread class in pastry school. Activating the starter, feeding it, and keeping it alive in general was intimidating as I’m a notorious plant-killer (even though Emilie writes that it’s apparently difficult to kill a starter). In the end, it was super easy and nothing to stress about; as with most things in life, just getting started is the scary part. Now, there’s a sweet-smelling bubbly sourdough starter just waiting for me to make more delicious sourdough recipes. Maybe it’s silly, but there’s a small sense of pride that I feel when I see the living starter sitting on my kitchen counter. Nurturing it feels good and knowing that a knock-out loaf of sourdough can happen at anytime feels pretty awesome too. Next on my list of Artisan Sourdough Made Simple recipes are the Sourdough Zeppoles (cross between a donut and fritter), Puffed Sourdough Crackers with Gruyere and Thyme, Cinnamon Sugar Sourdough Waffles, and Overnight Sourdough Bialys with Caramelized Onions and Goat Cheese. So many delicious recipes to look forward to in the future. Also, I’m doing a GIVEAWAY of a signed copy of Emilie’s new cookbook, plus a packet of her own dried sourdough starter, on Instagram as well. Head over to @now_forager to enter to win! *You’ll need some bubbly active sourdough starter to make this recipe. A “starter” is a live fermented culture that is solely responsible for making the dough rise (a natural leavening agent- no commercial yeast here). It’s very simple to create, just wheat flour and water, and you can learn how to make your own sourdough starter for this recipe in Emilie’s new book here. She also has a bunch of helpful blog posts on bread-making on her blog, The Clever Carrot. *This sourdough knot is straightforward and simple to make, but to help with the shaping process I’ve included a few step-by-step photos within the recipe below. 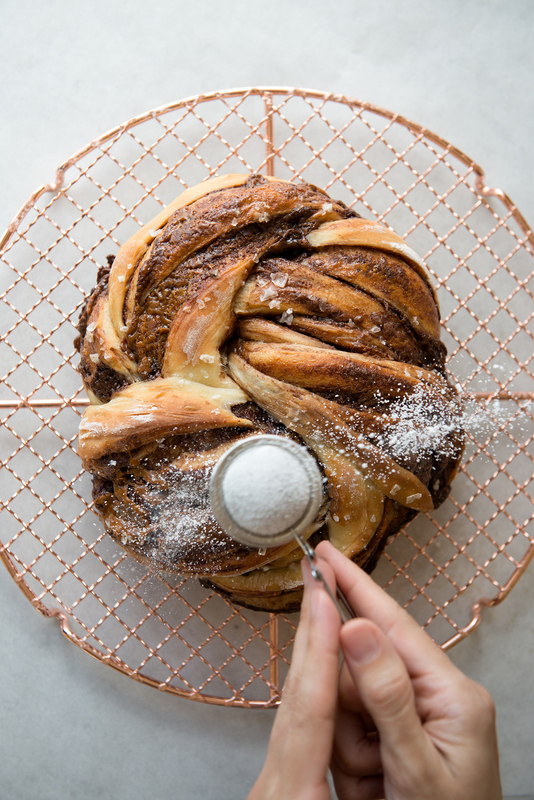 When it comes to shaping the dough into a knot it’s exactly as it sounds: Just stretch the twisted dough out a little and then tie it into knot like you would a piece of string. It’ll be messy, so there’s no avoiding that. It’s a rustic knot and perfection is not the goal here- eating it is. *Emilie strongly encourages us to weigh the ingredients for her sourdough recipes and lists weights first as a friendly reminder in her coobkook. Per her recommendation, I have shared her recipe below just as she has shared it in the book. Warm the milk and butter in a small saucepan or in the microwave. Cool slightly before using. 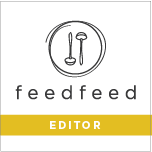 Add the egg, starter, and sugar to the bowl of a stand mixer. Mix to combine using the paddle attachment. With the machine running, slowly pour in the warm milk mixture. Add the flour and salt, and continue mixing until a rough dough forms, about 1 minute. Scrape down the sides of the bowl as needed. Cover with a damp towel and let rest for 30 minutes. Meanwhile, replenish your starter with fresh flour and water, and store according to preference. After the dough has rested, switch to the dough hook and knead on medium-low speed, about 6 to 8 minutes. The dough should be soft and pull away from the sides of the bowl when ready. If the dough seems sticky at this point, add a sprinkle of flour to adjust the consistency. Transfer the dough to a new, lightly oiled bowl. Cover with a damp towel and let rise at room temperature until double in size, about 8 to 10 hours at 70F (21C). Line a sheet pan with parchment paper and dust with flour. You can also use a nonstick silicone mat. To assemble and shape the knot, remove the dough onto a lightly oiled work surface to prevent sticking (I lightly floured my work surface). Rest the dough for 5 to 10 minutes before rolling. With a floured rolling pin, roll the dough into a large rectangle, about 18 x 12 inches (46 x 30 cm). Spread the Nutella over the dough, leaving 1/2-inch (1.25-cm) border around the edges. 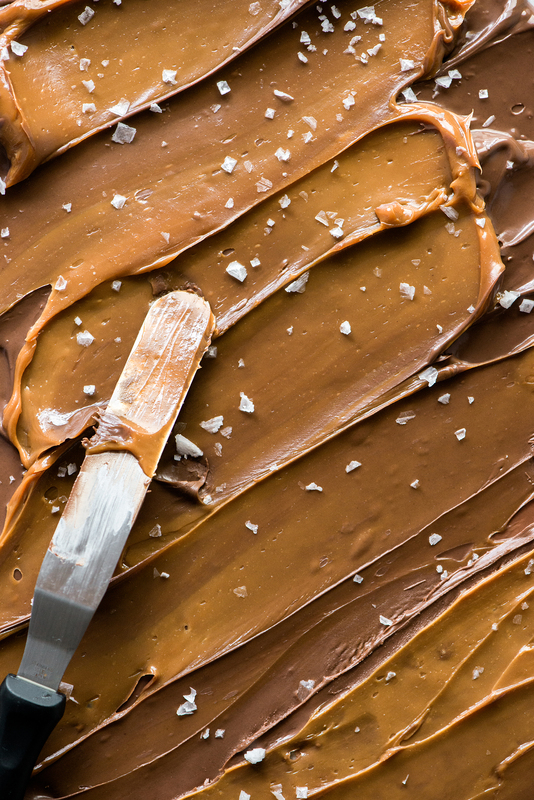 Spoon some of the dulce de leche over the chocolate and lightly sprinkle with the flaky sea salt. Starting with the long end, roll the dough into a tight log, ending with the seam side down. Trim the ends of the dough and transfer to your sheet pan. Cover the dough with a damp towel and chill until slightly firm, about 30 minutes to 1 hour or more. Meanwhile, line the bottom and sides of a 10-inch (25-cm) springform pan with parchment paper. When the dough is ready, halve it lengthwise, keep 1/2-inch (1.25-cm) intact at the bottom. It’s best to use a large serrated knife for this. Starting at the bottom, overlap both halves, keeping the layered sections facing up. Continue to overlap the dough until you have made a full twist. Then form the dough into a knot, gently tucking it under and pinching the ends to seal. Place the dough into the springform pan. Cover the dough and let rest until puffy, about 1 hour, depending on temperature. Preheat your oven to 400F (200C). Place the dough onto the center rack and bake for about 20 minutes. Reduce the heat to 350F (180C) and bake for an additional 10 to 15 minutes. Remove from the oven, and cool for 30 minutes before dusting with powdered sugar to serve. This sourdough knot will stay fresh up to 1 day, covered in plastic wrap and stored at room temperature. Recipe reprinted with permission from Artisan Sourdough Made Simple by Emilie Raffa. Thank you, Emilie! Congrats once again on this awesome new cookbook! Thanks to you there will now be more sourdough in my life and my husband also thanks you for that. ;) Every bit of it is lovely- just like you. This is so great, because I want to make sourdough, but mainly so I can use the starter for other things like this. Love the look of this recipe and the photos are wonderful Teresa. It was amazing, loved it. I followed all the steps, except I ended up leaving the dough in the refrigerator for 10-12 h (something came up), but it didn’t affect it at all. I think I’m in love!! The recipe looks delicious and the pictures are absolutely stunning. I am in love with everything you have. I made one of these this weekend and it was 100% delicious, what a great recipe. This may be something to trial and error, but I was wondering if you could leave it in the fridge overnight at the log stage, and cut/shape and bake in the morning? Is there a danger of over proofing? Emilie creates the most delicious recipes! You should give the overnight rest a try. I haven’t tried it myself with this sourdough recipe before, but it should work. Sounds like a great idea!